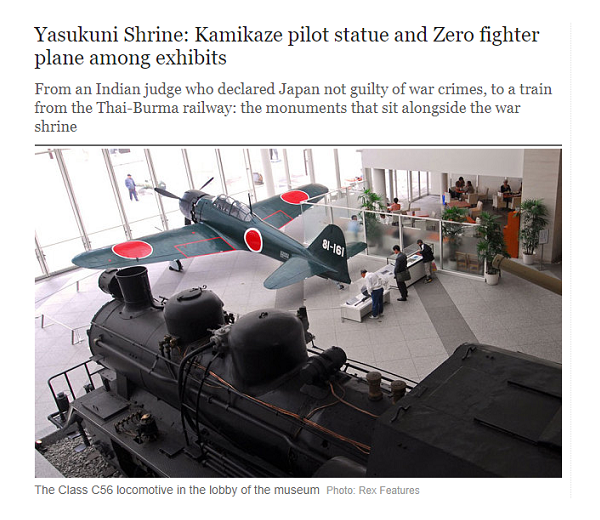 As myth and legend, dream and imagination have it in some circles in Japan, kamikaze is spirit wind, downward-rushing, warships targeted, headlong warplanes in full nose-dive, martyrdom almost — tinged with cherry blossom and droplets of blood, patriotism, self-sacrifice ..
Zenpundit, Why is the Yasukuni Shrine so controversial? Among bands that are said today to fall into the category of N.S.B.M., as it is often called, are ?8?8? ?, from Russia, whose fans have given Nazi salutes during performances; a Finnish band, Goatmoon, which has performed in front of a backdrop resembling a Nazi flag; and Der Stürmer, from Greece, which shares a name with an anti-Semitic German newspaper whose editor, Julius Streicher, was convicted during the Nuremberg trials and then executed. 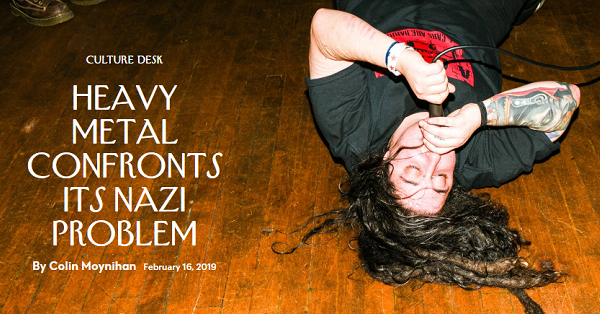 Those bands and others, including Stahlfront, Sunwheel, Absurd, and Dark Fury, performed in December at the Asgardsrei festival, in Kiev, where Nazi-style displays abounded. Asgard, hoke of the Æsir in Norse mythology — sacred to some though not all Asatru in a way reminiscent of Japan’s Yasukuni Shrine..
Don’t you just love quarterbacked? Like wingman and running point, it comes up all the time, but that was a stellar quarterback example in terms of paragraph content, ***** in my book. Republican Chuck Grassley was on the Senate floor, asking the entire chamber to join in seeking divine intervention with Trump. “Let’s all pray that the President will have the wisdom to sign the bill, so that the government doesn’t shut down,” he said, as Washington waited, once again, on its capricious President. 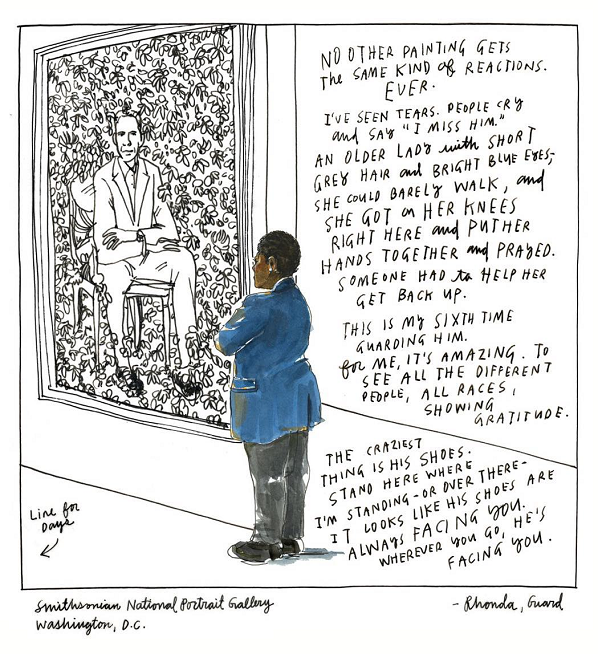 Susan Glasser, the New Yorker writer, seems to take it a bit more seriously.. 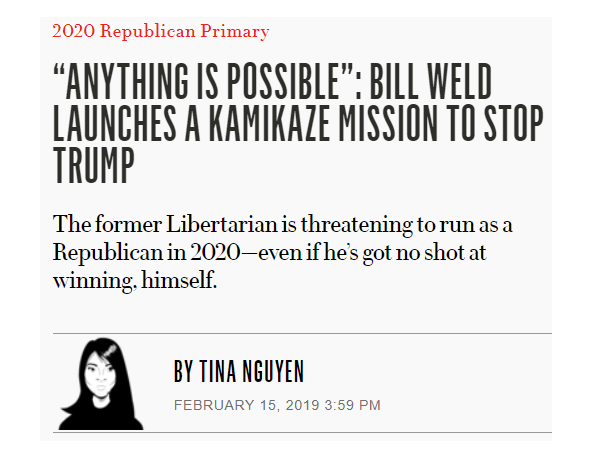 So it’s finally come to this: only God can stop Trump, as members of his own party are admitting that they’ve basically given up trying. Falling on one’s knees in prayer is definitely a mark of religion, even though Obama isn’t generally considered an object of religious devotion..
We never considered pushing for the death penalty because I firmly believe that I am not the one to choose who lives and who dies. Morally and ethically, I believe that decision is left to God. We suffered so much pain and so much anguish, and I actually did not want to be the one to inflict that upon his family, and I didn’t want to be rooted in those kinds of decisions, because I truly believed that would be the noose around my neck and I would not be able to move forward to actively champion for safer gun laws and a safer gun culture, because that’s what I believed that I was given to do, and I couldn’t do that without forgiveness, and I couldn’t do that without releasing myself. That’s a stunning level of faith and forgiveness. That’s it, that’s my response. His title of Shahbaz (royal falcon) is associated with him because of the mystical and spiritual heights he attained. This is reflected in his own poetry: “I am the royal falcon, that has no (fixed) place i.e. I am always in flight; I cannot be contained in any place; I am the phoenix, that cannot be restrained in any symbol or form” (Qazi, 1971, p. 26). The third title associated with saint’s name is Qalandar. Muhammad Hussain bin Khalaf Tabrizi, the writer of a famous Persian dictionary defines Qalandar as someone “so much spiritualized that he is free from social and customary inhibitions and taboos” (Mohammad, 1978, p.7). Many other references have used terms like, “intoxicated in spirituality” to define the term Qalandar. The title of Qalandar has been associated with three saints, Lal Shahbaz, saint Bu Ali Sharfuddin of Panipat and a female saint Rabia Basri (Mohammad, 1978). I am burning with Divine love every moment. And sometimes I dance on thorns. I have become notorious in your love. I beseech you to come to me! To dance in every bazaar. Lal Shahbaz Qalandar is both transgressive – a frequently overused term, yet entirely applicable in this instance – and transcendent. One of the most loved legends associated with Kabir is told of his funeral. Kabir’s disciples disputed over his body, the Muslims wanting to claim the body for burial, the Hindus wanting to cremate the body. Kabir appeared to the arguing disciples and told them to lift the burial shroud. When they did so, they found fragrant flowers where the body had rested. The flowers were divided, and the Muslims buried the flowers while the Hindus reverently committed them to fire. It is his death – considered as his marriage with the divine beloved – that is celebrated at the three-day urs (literally: marriage) festival, attended yearly in Sehwan by upwards of a half-million devotees, at which the divine love is glimpsed through a dance – the dhamaal – similar in function to, though not the same as, the sama dance of the dervish order order founded by Qalandar’s contemporary, Jalaluddin Rumi. The dancers’ characteristic experience is one of divine intoxication, mast. It was Qalandar’s shrine / tomb that was the site of the IS-claimed bombing this week. With appreciation & and hat-tip to Omar Ali, and condolences — also to Husain Haqqani, Raza Rumi, Pundita, and all those who live, work and or pray for a peaceable Pakistan. I’ll add a fantastic passage from Seamus Heaney at the end of my post, to give it the final mahogany polish a conkers post deserves. 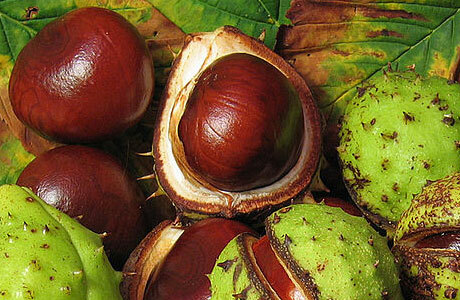 Conkers is for kids. So what does it have to do with computers, AI, “deep learning” or robots? It’s a very British game, conkers, played with the seeds of horse chestnut trees, of which Britain counts almost half a million, pierced and strung on string. I suppose you could think of it as a primitive form of rosary bashing, with each player’s rosary having only one bead, but that might give others the wrong impression since conkers (the game) is sacred the way taste is sacred before anyone has told you, “this is strawberry”, not the way sanctuaries are sacred after someone has put an altar rail round them, or screened them off with a rood screen. Even giving the game the name Conkers with a capital C puts it on a pedestal, when all it’s about is gleefully finding a suitable conker, maybe loose on the ground or maybe encased in its prickly green shell, drilling it through with some sort of skewer or Swiss Army device, threading it (stringing it) on string, finding a gleeful or shy playmate, and whazzam! 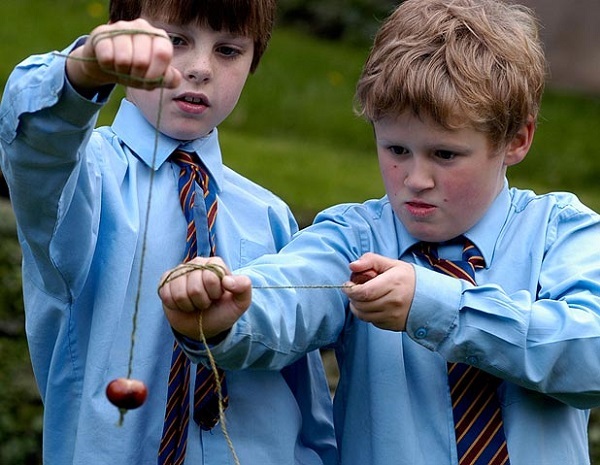 conking their conker with your own so their falls apart and yours remains triumphant. Battered perhaps, but victorious. An artificial general intelligence, left to its own devices and skilled in “deep learning”, will surely figure out that play plays a significant role in learning, by reading Johan Huizinga perhaps, or figuring out “the play’s the thing” – or noting that play is how learning develops in mammalian infancy and expresses itself in human mastery. And since learning is what artificial general intelligence is good for and would like to be even better at, you can bet your best conker that artificial general intelligence will want to learn to play. — and apparently one set of AI researchers is considering Texas Hold’em as a plausible next challenge. I want to see them try their hands (hands?) and minds at conkers, though. Consider: they’d need more than brainpower, they’d need mobility. It wouldn’t take a rocket scientist but a robot to do the trick – locating chestnut trees, okay, with a judicious use of Google maps for targeting and drones for close observation, agility to get around the trees (climbing ‘em?) gathering and evaluating nuts, their sizes, densities, colors and weights, testing different angles of attack and types of needles for threading, the respective efficacies of polished (ooh like mahogany!) 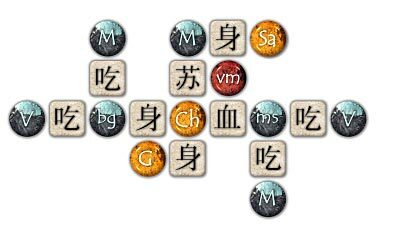 vs unpolished nuts (somewhat more in the spirit of sabi-wabi), styles of rough or silken string — and then the dexterity to swing the strung nut at its similarly strung and loosely hanging sibling-opponent!! All this, to beat the poor kid at the kid’s own game? Perhaps our robot overchild will have read the bit about “It matters not who won, or lost, but how you played the game” – and will have the good sense and humility to build itself an arm that’s not quite as strong as a child’s arm, and will eventually have played enough child opponents to develop a style that wins only fractionally more games than it loses – say 503 games out of a thousand. What is man, that thou art mindful of him? and the son of man, that thou playest conkers with him? Oh, conkers isn’t the only game I’d like to see the computers try for -– in fact it’s one of two games that has been outlawed in some British schools –- and to live outside the law you must be honest, as Dylan says. Another banned — and therefore extra-interesting — game is leap-frog. How do you win and how do you lose at that? You don’t –- you just play. That’s when things will begin to get really interesting, I think –- when an artificial general intelligence, with or without robotic body, learns playfulness. There will need to be constraints of course, of the Do no Harm variety -– a fireproof Faraday cage playpen perhaps? 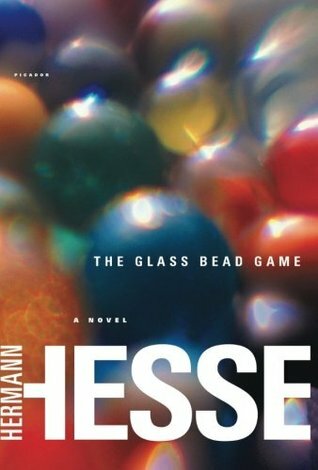 When will an AI be able to play Hermann Hesse’s Glass Bead Game? After all, it’s the only game design that has arguably won its designer a Nobel Prize. And at the moment, it’s brilliantly undefined..
3QD is a polyphonic glass bead game of sorts, and comes far closer to Hesse’s ideal than the internet as a whole, since it curates the thoughts and insights it delivers — so maybe the challenge will be for an AI to win a place at the 3QD table by providing an essay, 1,000 to 2,500 words in length, to Abbas, by email at or before 11.59pm New York City time on some Saturday yet to be announced. Preferably, such an AI will also have a stock of essays available, touching on a variety of subjects with passion, clarity, and at least a hint of quasi-human humor, for posting on specified Mondays. And before it writes in, it may need to think itself up a nom de plume. In 1939, the year that Patrick Kavanagh arrived in Dublin, an aunt of mine planted a chestnut tree in a jam jar. When it began to sprout, she broke the jar, made a hole and transplanted the thing under a hedge in front of the house. Over the years, the seedling shot up into a young tree that rose taller and taller above the boxwood hedge. And over the years I came to identify my own life with the life of the chestnut tree. When I was in my early teens, the family moved away from that house and the new owners of the place eventually cut down every tree around the yard and the lane and the garden including the chestnut tree. We all deplored that, of course, but life went on satisfactorily enough where we resettled, and for years I gave no particular thought to the place we had left or to my tree which had been felled. Then, all of a sudden, a couple of years ago, I began to think of the space where the tree had been or would have been. In my mind’s eye I saw it as a kind of luminous emptiness, a warp and waver of light, and once again, in a way that I find hard to define, I began to identify with that space just as years before I had identified with the young tree. 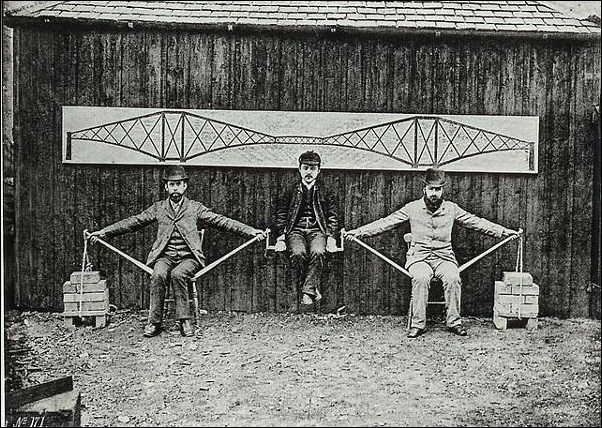 Let’s start with this brilliant example of theory (the diagram of the cantilever principle, above) and practice (the human demonstration, below). In the above instance, at least, the theory works out in practice. BTW, I think this image qualifies as a DoubleQuote in the Wild. 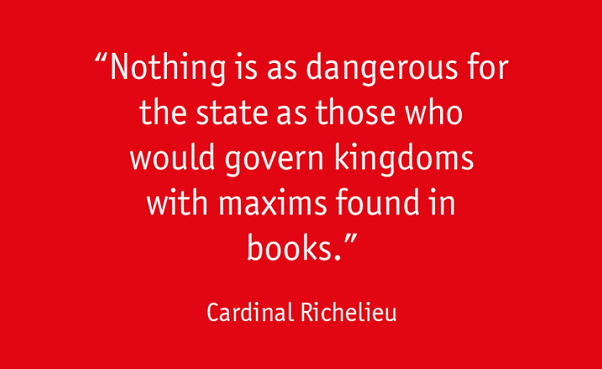 I’m afraid the recently past century amply bears out Richelieu’s point. Theory is often too simple to match practice, and attempts to fit the real world into a crippling procrustean box of its own devising. I might not have taken an interest in these two tweets, if I hadn’t also read Ahmed Humayun‘s post, The Politics of Barbarism, on 3 Quarks Daily today, and blog-friend Omar Ali‘s comments in particular. Humayun’s piece is essentially a precis and analysis of Abu Bakr Naji‘s The Management of Savagery, a book, incidentally, which has as much to do with management as it does with savagery. A trillion dollars on development work, schools, hospitals, roads, power plants, would have been money better spent and possibly just as helpful to the American economy if not to the arms industry in particular. The Ideal and Real are, respectively, Theory and Practice, and we need, we are constituted to need both — and yet our discourse all too often promotes one (shorthand: peace) or the other (shorthand: war), without looking at how each can serve and illuminate the other. For my purposes, it is essentially peace that is the objective, and war that should (where and when needed) serve it: but it is justice, as in peace with justice, that is the necessary third term bringing peace and war (to include revolution?) into their constantly shifting alignment. If one group of people chants peace, peace, while another prepares for, and makes, war — without justice rather than profit being its central motivation and the arbiter of its outcomes — there’s little chance of mutual understanding. The peaceables will think the warlikes lack “moral” sense, the warlikes will think the peaceables lack “common” sense, each side will seem senseless to the other — and the wheel will continue to turn. What I would like to see — to foster — is deliberation, debate, discourse between these two camps, the idealists and the realists (and I use those terms without their technical senses as terms of art), those who would seek peace and those who would protect them from violence. Because humanity is half-angelic, half-bestial, and the question is how the angelic can best deploy against the bestial. Or as Naji has it, against Savagery. There are two distinct scenarions that I try to bear in mind, in one of which an archipelago of islands is seen in a seascape, while the other shows a number of lakes in a lanscape of mountains, hills and valleys. The quest, here, by analogy, is for optimal levels of protective violence to obtain and sustain a widespread and liveable landscape of peace.